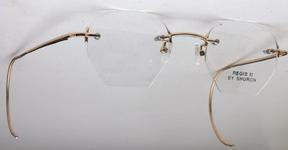 Women have been showing more and more interest lately in retro style eyeglass frames. “Retro” has a loyal following year after year, and the interest increases or decreases depending on which brands are marketing a retro line. 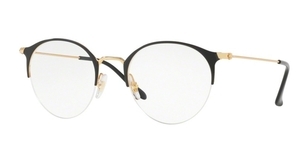 Retro for women could be as simple as the “hint” of a cateye shape, a certain style of tortoise color, or even certain finishes like matte pewter or yellow gold. 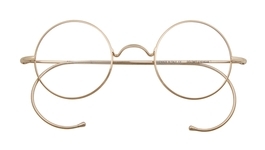 Certain styles also remind us of the olden times, like a saddle bridge, a shiny gold rimless frame, or a round shape. 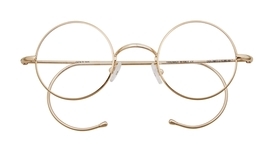 Most women have a keen sense of style, and can use vintage eyewear and vintage designs as a way to tap into the values of the past, while bringing them into a modern context. “Retro” really means “vintage look”, or dipping back into the past for the elements we admire. Tradition has a powerful lure, and the elder folks command respect and admiration, so eyewear that harkens back to those times also brings its assets to the wearer. We love the Lafont Reedition collection which brings retro shapes into the modern age. Lafont is famous for its use of color, both in layered combinations, and in the exclusive zyl patterns that literally shimmer in complexity. For round glasses, the DOlomiti collection has the best and most classic colors, and sizes. Check out the Presidential collection to see what some of the world’s great female leaders wear when they lead. The Anglo American collection has some great classic patterns for women, both in shape and in some beautiful color combinations. 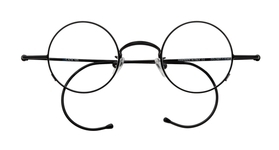 Revue Retro frames actually are vintage, if the 1970s and the 1980s can be considered vintage. These style are authentic to that period, but are still pristine and perfect for the current age.